Imagine crafting music you love, surrounded by hundreds of thousands of dollars worth of tools and equipment you need to make it, yourself seated in the producer’s chair taking control of the entire studio session...Well, you don’t need a fortune now for that dream to become a reality: Ableton Live makes that happen, and you can do it in the comfort of your own bedroom. All that’s needed is to give you the knowledge and confidence needed to get you going! 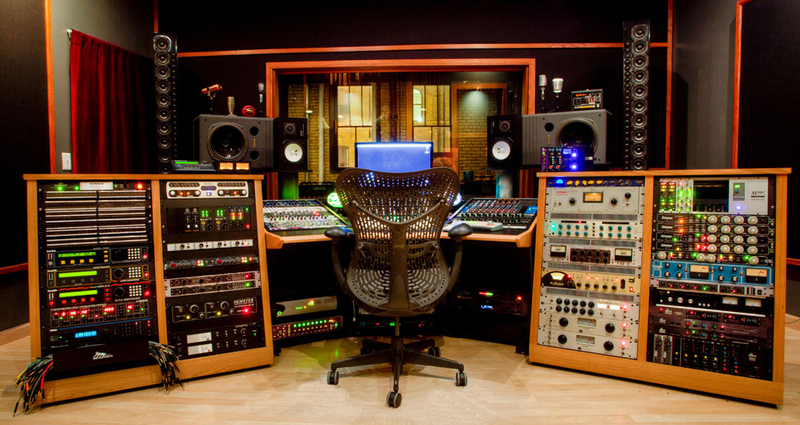 Imagine making music you love, surrounded by all the tools you need to do it, yourself seated in the producer’s chair. Well, you don’t need a fortune for that dream to become a reality: The trial version of Ableton Live makes that happen, and you can do it in the comfort of your own bedroom. All you need is a bit of knowledge and the confidence to get going! 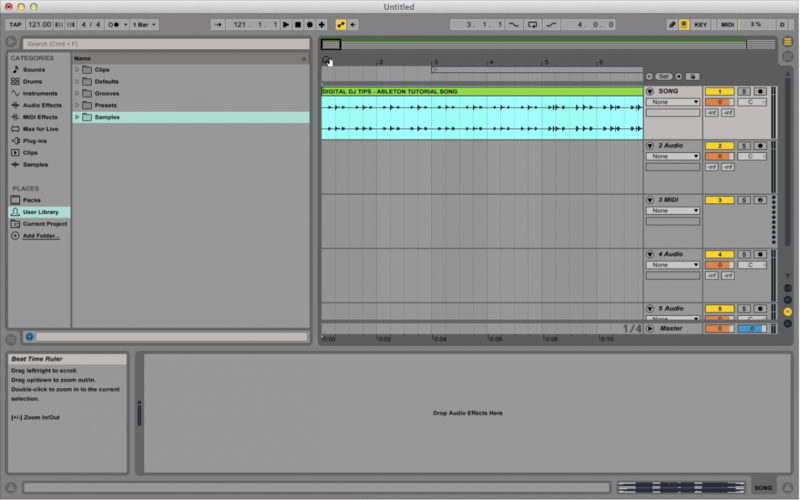 Having gone through the installation and set-up procedures in the first tutorial, as well as getting acquainted with Ableton Live’s interface, we’re now ready to take the next step in creating your first tune. In this week’s tutorial, I’ll quickly teach you some basic house music beat theory that forms the foundation for virtually all electronic dance music. 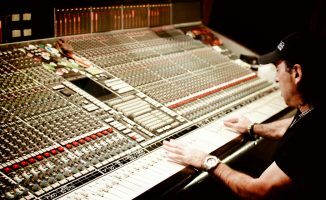 Next, I’ll show you a trick that’ll jumpstart your understanding of how producers build and arrange their songs, this same technique will be the one that you rely on in the years to come if ever you’re stuck when making a production. In fact, it’s something so essential to production that, had someone shown me this a decade ago, my own music production output would’ve at least doubled: I call it a “Song Map”, and it’ll serve as a guide for you while you drop in those loops and samples from the Beatport Sounds pack we recommended you buy in order to follow along with these tutorials, or alternatively from your own loop collection. Once we’ve created a Song Map together, I’ll walk you through how to flesh out your production using as my example the Construction Kit found in the Beatport Sounds pack. Once you’re done doing it yourself, feel free to work with any of the other Construction Kits in that pack (there are 10 in total), or try filling out the Song Map with loops from other sample sources you may have access to, or even lifted from your own tune collection. Whenever you go on a long trip by car for the first time, you probably whip out Google Maps or your iPhone so you know where you are on your journey. A Song Map acts in the same way. 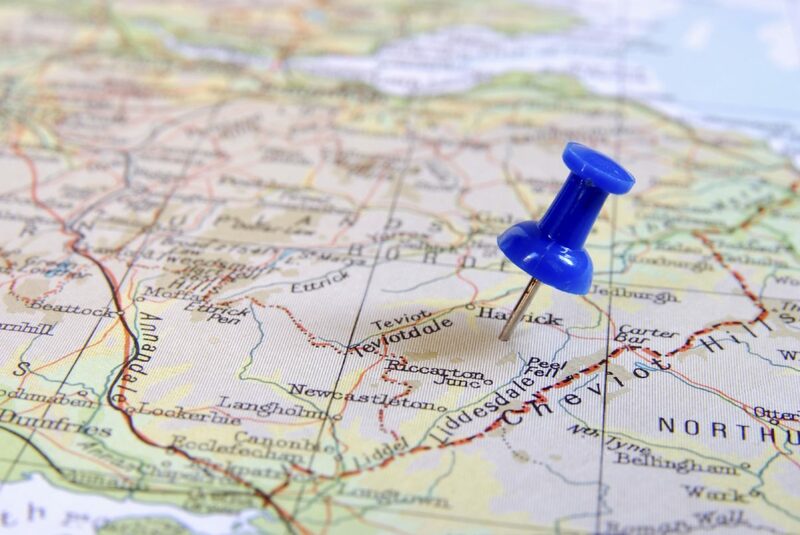 Whenever you go on a long trip by car for the first time, you probably whip out Google Maps or your iPhone so you know where you are on your journey, showing you important landmarks and directions you need to take to get you to your destination. A Song Map acts in the same way: Instead of going about building your song arrangement blindly, it shows you exactly when song parts start and end. How long is the intro, and when does the verse start? How long is my chorus, and when should I put a breakdown and buildup? A Song Map lays it all out for you clearly in your digital audio workstation (DAW). 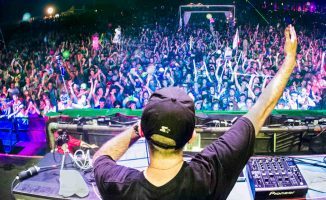 Of course, not all productions are created the same; there are no hard and fast rules in music, after all, but there are a handful of patterns that stay consistent in songs from one genre, and this is especially true for electronic dance music. After all, it’s these patterns that let people at a massive festival instinctively know when a huge drop is coming after a build up, even though they aren’t familiar with the tune itself. Song Maps aren’t a “one size fits all” affair; after I’ve shown you how to make one, you can try doing this to other styles of music (Top 40/chart music, hip hop, rock), and you’ll find that not only are they extremely varied from each other, but that songs in the same genre even have different Song Map structures! That’s another reason why Song Maps are incredibly powerful: Not only do they serve as signposts when making a production, but they give you a glimpse into the mind of a music producer and how he or she structures music. 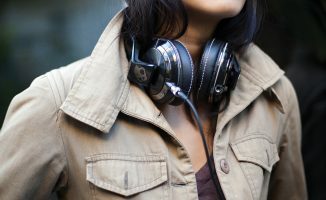 Over time, you’ll begin to spot consistencies and trends between songs and among producers (particularly with pop music and EDM), and you’ll begin to understand why these song patterns and formulae are so powerful. Start off by naming measure number 1 as the “Intro”. Follow along with the video to know what the other chunks are and in what measures they happen. Stuck or having a bit of difficulty adding those Locators? Here’s a cheat sheet with all the song part measure numbers. 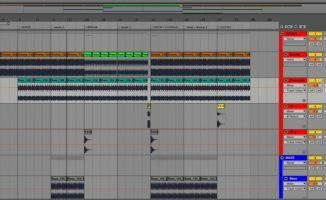 You can also download an Ableton Live project file with the complete Song Map, which contains all the properly placed locators already. Once it’s finished downloading, you can just unzip it then double click on the file (“DIGITAL DJ TIPS – ABLETON PROJECT FILE WITH SONG MAP.als”) and it automatically opens in Ableton Live. 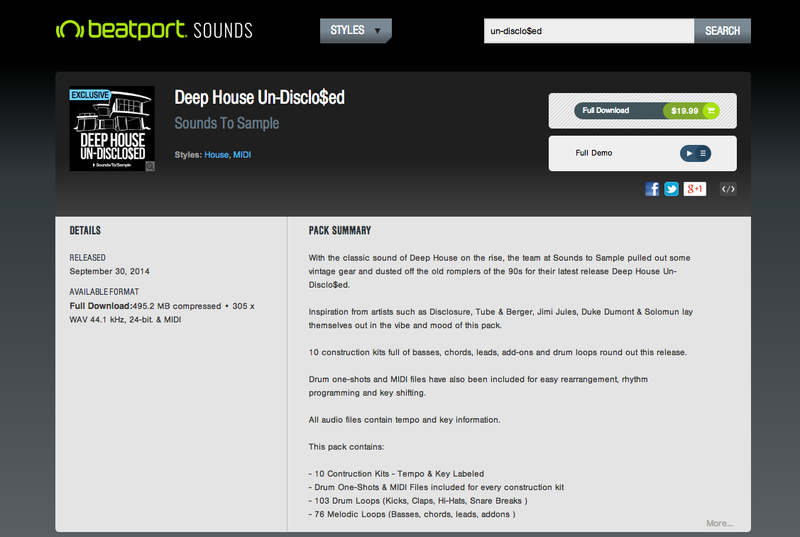 If you still don’t have it, I highly recommend that you buy the “Deep House Un-Disclo$ed” Beatport Sounds pack that we’re using for this tutorial series. Not only will you be able to follow the entire course to a tee, but it’s full of great loops and samples for your future productions. With our Song Map in place, we now have a guide that we can use as a template to “fill out” for our first tune. Let’s proceed to flesh out the song by filling out each chunk one by one, starting with the “Intro” chunk located on measure 1. Follow along closely with the video to see which loops and samples from the Construction Kit located in the Beatport Sounds pack are used. You can also use your own loops and samples, just find ones that sound similar or have the same feel and instruments. Have any questions about the lesson and video? How are you getting on with the course so far? What topics would you like us to include in future music production tutorials like this? Let us know what you think in the comments section below, we’d love to hear from you. Great article, great video. Many thanks Joey. A good one! Just one suggesttion, if I were you then I would use the synth(which is used in the verse), include that in the chorus. So that it doesn’t seem like I’m playing a whole new track. Because the chorus was like a bolt out of the blue. The only thing in the chorus which was matching with the other parts, is the drums sample. This is an amazing tutorial so far. I really enjoy the idea of using premade sample packs as a start point, rather then attempting to create an entire track from scratch (which I have attempted and gave up on). Thank you so much, this tutorial takes away all the overwhelming feelings I would get when I would open Ableton. Hi Joey, Could you send me you tip on piano playing ? Hi! I am also interested in that keyboard trick, can you enlighten me please? Filming it today, Esteban 🙂 It’ll be included in the final instalment of the series due this week! maybe I missed it but this chord keyboard trick you mentioned here did not show up in part 4 of the series did it? I only saw the mastering tricks but no keyboard shortcuts. Thanks for the feedback! Glad I spurred you on! Your mix is very good! Keep up the good work! could you please tell me what the SOLO button does in Ableton? I cannot find it online. You say in the video press Solo (S) on the right of the screen but don’t explain why or what it does? Could you (or anyone else for that matter) tell me what it does? Many thanks in advance. Oh ok makes total sense now but not before lol. Thank you!